Widows is a basic heist movie. It opens with a shoot-out. Chased by police, robbers attempt an escape in their van, firing shots from the open rear door. There’s an explosion – a sizable one – and then in one cut Widows becomes a political drama. Then a personal drama about the women left behind by the deaths in the heist. Widows takes a bit to click. The script jostles these narrative pieces, and they do eventually connect. Intertwined in a thematic powerhouse, Widows maintains a complex and somber mood. Adventurous camerawork sweeps around these characters as do the plotlines. Never does Widows lose itself though. Set in Chicago, there’s reality to the fiction. The script’s rawness doesn’t avoid police violence. Issues of race and poverty succeed in the midst of this saga. Socially resonant dialog and piercing storytelling serve an arching narrative concerning income inequality – the incumbent white politician (Colin Farrell) who readily tosses $50,000 on art, the black upstart campaigning from a church, scrounging for cash. Widows doesn’t turn either saintly though. All politics in Widows come from a place of corruption. The centerpiece is still a heist. A trio of women, left alone by the deaths of their husbands in that opening action, band together to formulate their plan, seeking a $5 million haul of ill-gotten funds. Character inexperience in such a genre film usually descends into comedy. Not Widows. These women become powerful staples, smart, clever, and ingenious as they manipulate the city’s core into handing them safe codes, money, and information. Women take power over men. It’s a contemporary Robin Hood fantasy. The rich lose. The poor win. Although willing to commit a gruesome crime (the getaway is not clean), money is turned around from the political hoard and into the community. Farrell’s campaign promised jobs. In one night, the women do more for Chicago than any office. Inequality is easily solved when truly assisting those in need. There’s no moment of clarity to Widows. It’s careful to never lessen dread; the situation is not depicted as anything less than morally ambiguous. Viola Davis is, as she always is, a master in portraying authority. She leads the woman, dominating and fearsome while still clutching her diminutive dog. Widows’ finish feels satisfying, not on whether the heist is successful, but because guilt is rendered void. Without using explicit visuals or heavy-handed dialog, Widows finds itself amid anti-heroes worth rooting for. Chicago’s scenery creates a faultless backdrop, and carries immeasurable dramatic value into this story. Without the city, Widows isn’t a vastly different film. 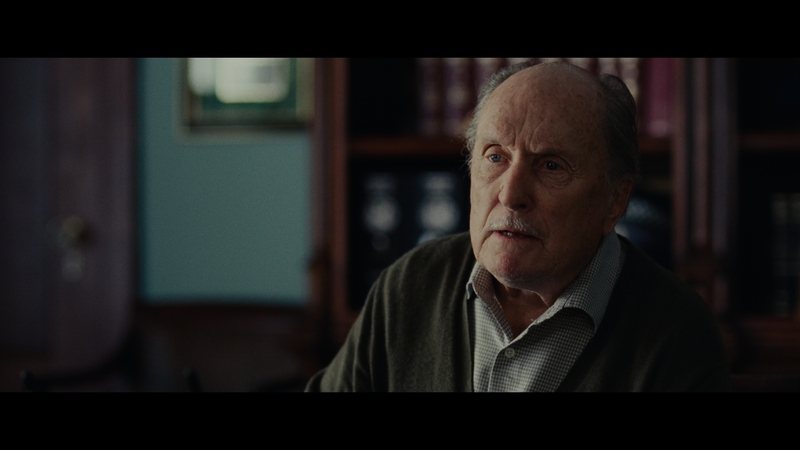 Shot with a beautiful 35mm stock, Widows features a subtle but pure film grain. Encoding by Fox keeps image stability consistent. Widows’ transfer avoids dissolving into noise. Mastered at 4K, imagery works in exceptional definition and detail. Sharpness stays high, pulling out facial texture when in close and stylish shots of Chicago from afar. 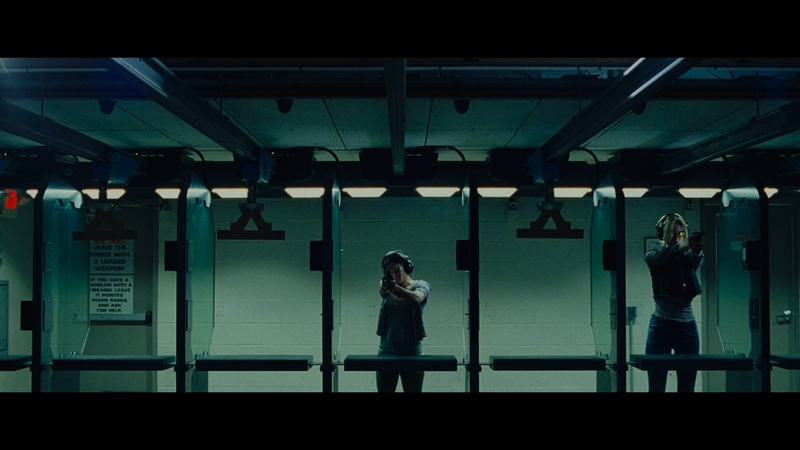 Replication of the cinematography is perfect, utterly transparent in the move to disc. Fox delivers a standard HDR pass, reserved and even dull. Maintaining tone, black levels avoid reaching pure black. Highlights stay low too, with hardly any strength aside from explosions; those carry heft. 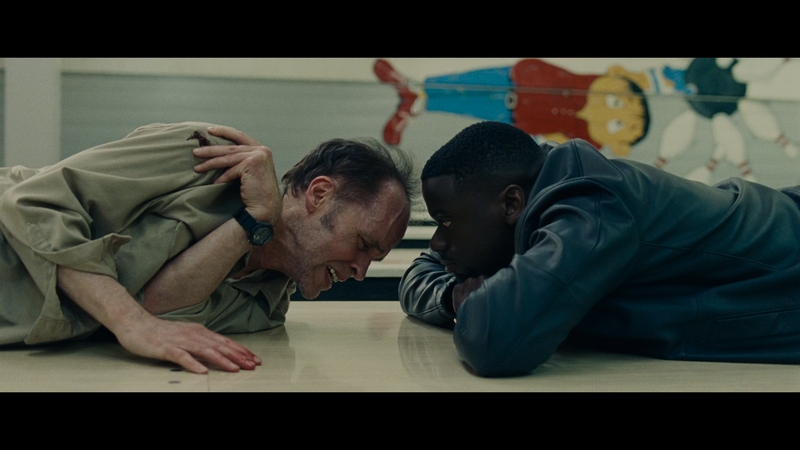 Widows isn’t asking for such contrast though. By design, the image stays dim, and that’s critical in keeping mood intact. Deep color does play a role though. Widows comes cloaked in cooler, seedier tones. Flesh tones stick out, but only as far as grading allows. Primaries resist full exposure, giving in to the cloudy-esque style. It’s great work, paired rightfully to material suited for it. If there’s ever a wonder of how color impacts a movie, compare Widows on these two formats. Without deep color, Widows features brighter exteriors and richer color. That sounds great, but feels wrong. Otherwise, this is a commendable Blu-ray. Detail is held with limited loss. Facial definition sticks out, and those Chicago sights do not succumb to aliasing. With excellent parameters, encoding handles a handful of grain spikes. It’s Atmos for UHD and DTS-HD for Blu-ray. That’s stupid and unnecessary, even if the formats will register little (if any) difference to most. In the opening chapter as the heist gang escapes, voices travel throughout the soundstage to create space. At one point, yelling from the left seems to create another audio channel between front and rear. That’s a dazzling sonic effect. Gunfire props up the low-end. A couple fireballs do too. It’s hefty and effective support in a dialog-driven film. When not in the action, Chicago produces audible life. Trains pan around while traffic patterns shift between speakers. Trying to keep that accurate while the camerawork swivels around poses a challenge, if not to this disc apparently. Some notable uses of the center rears deserves credit too. Split into three parts, Widows Unmasked is lonely in the extras menu. That’s okay. Running 52-minutes, this expansive making-of delves into the production and the numerous social themes featured. While hefty on marketing speak, it’s a worthwhile watch to gain insight into Widows. A gallery and trailer mark the disc’s finishing point. 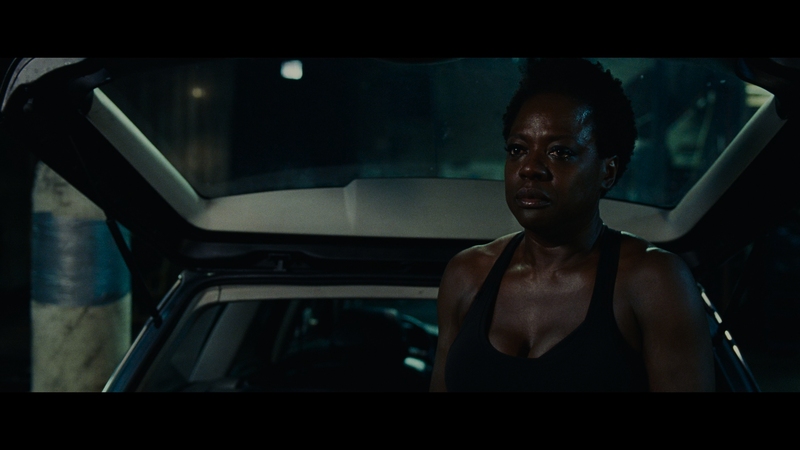 A stirring performance by Viola Davis headlines Widows, but it’s the smart juggling of plotlines and contemporary social causes that work best.